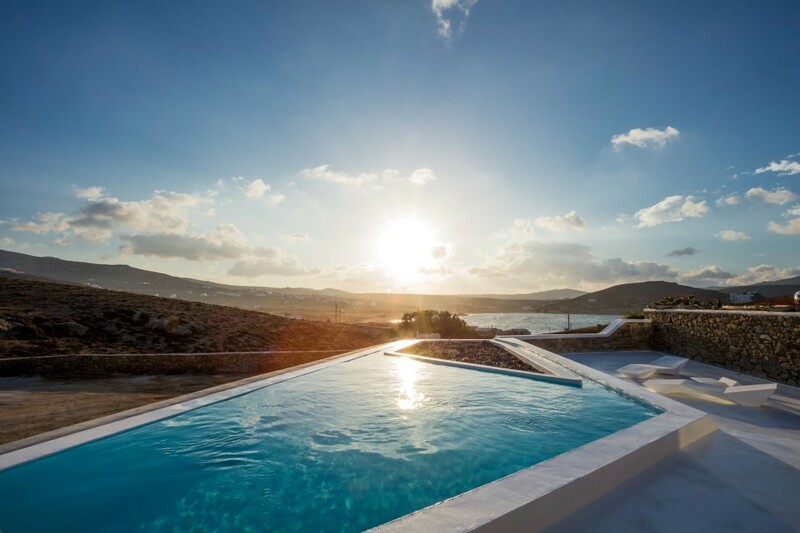 The magnificent property is situated in a prosperous location just above the breathtaking bay of Ftelia. 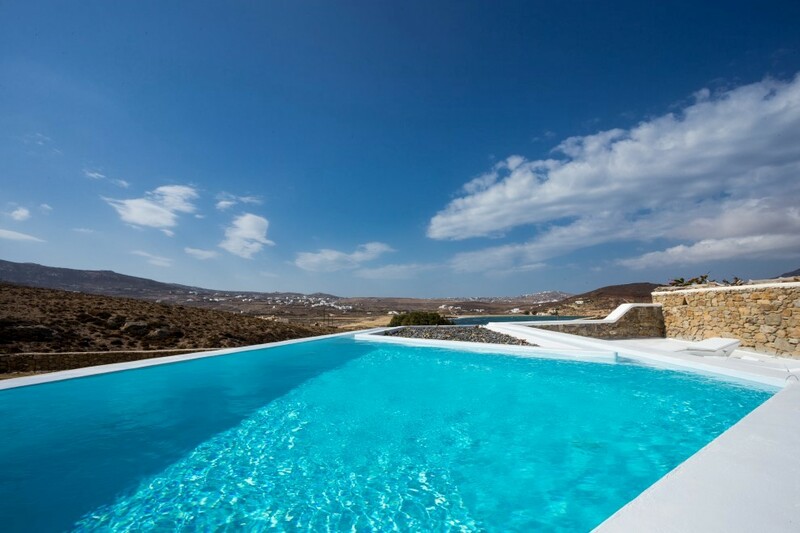 Ftelia is one of the longest golden sand beaches in Mykonos and it is known as the perfect place for water sport activities. 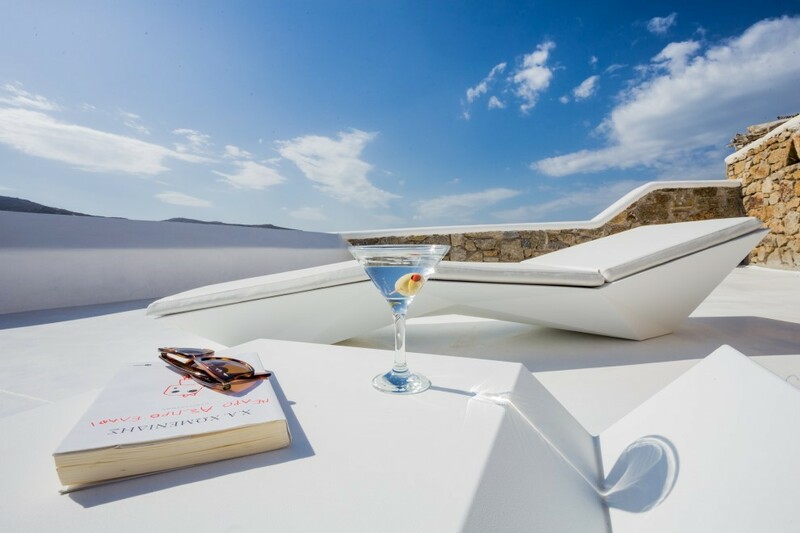 The luxurious Villa Dream Weaver is beautifully furnished and provides the most amazing amenities to its guests, ensuring their tranquility and enjoyable stay. 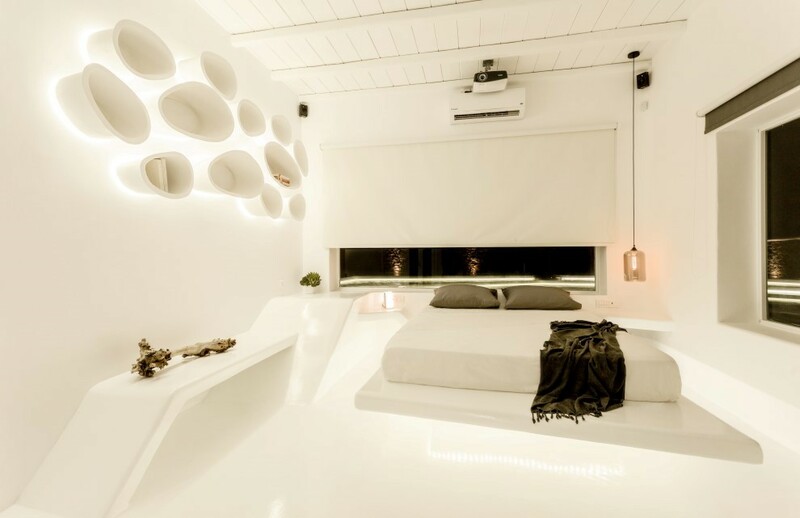 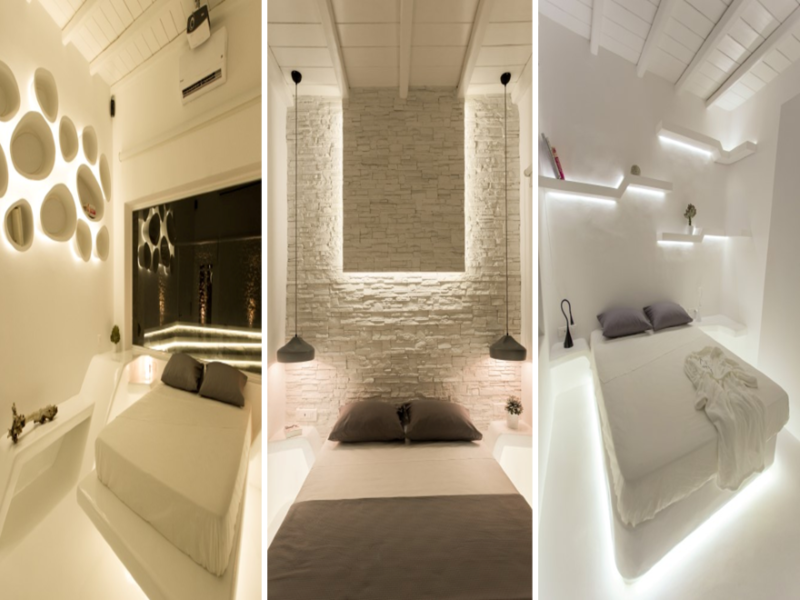 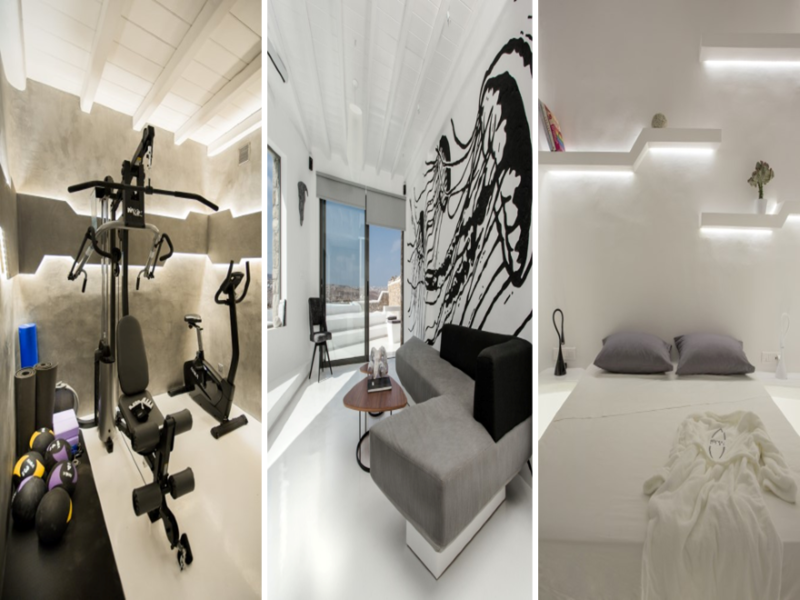 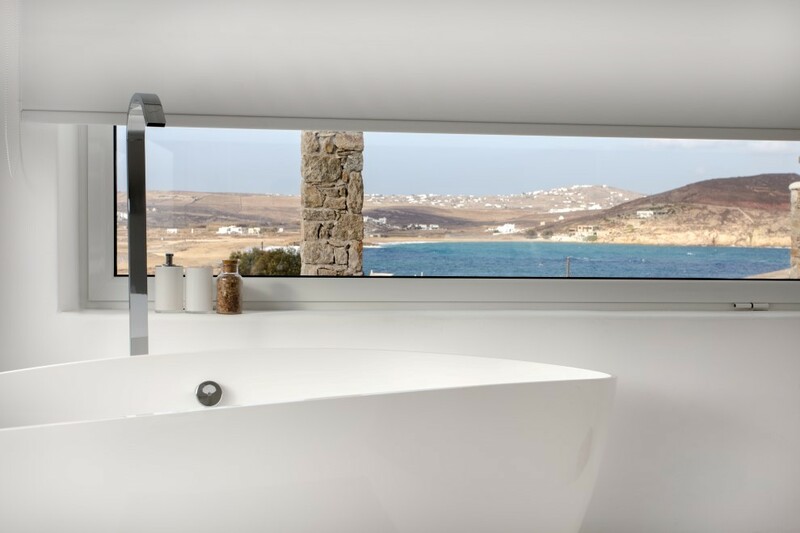 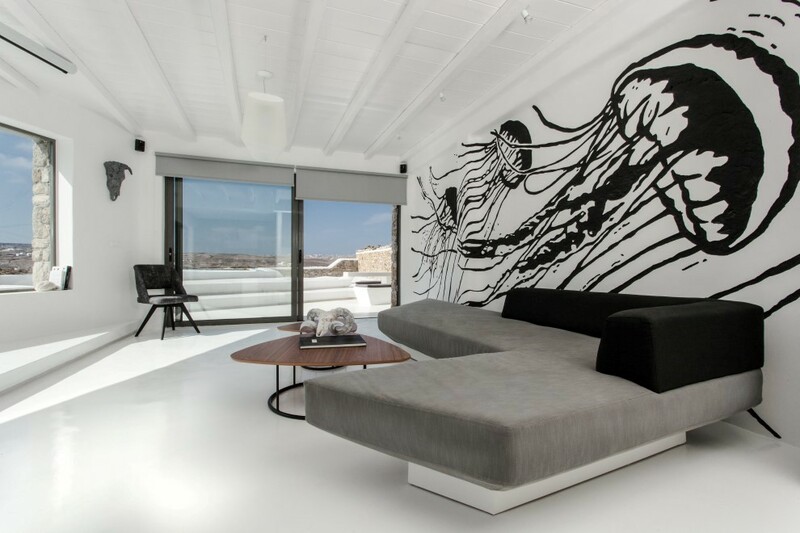 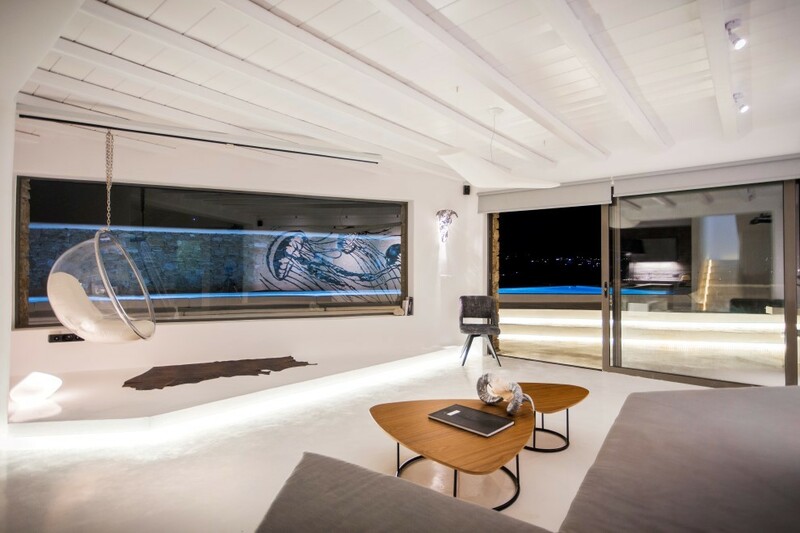 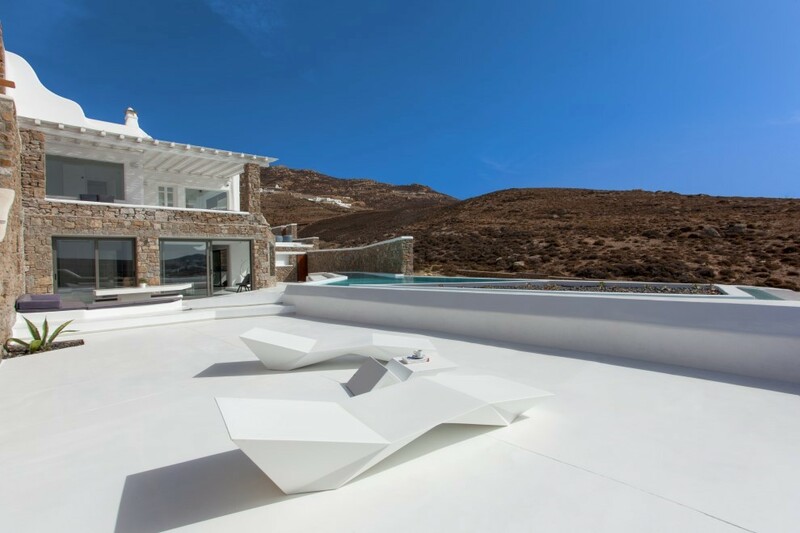 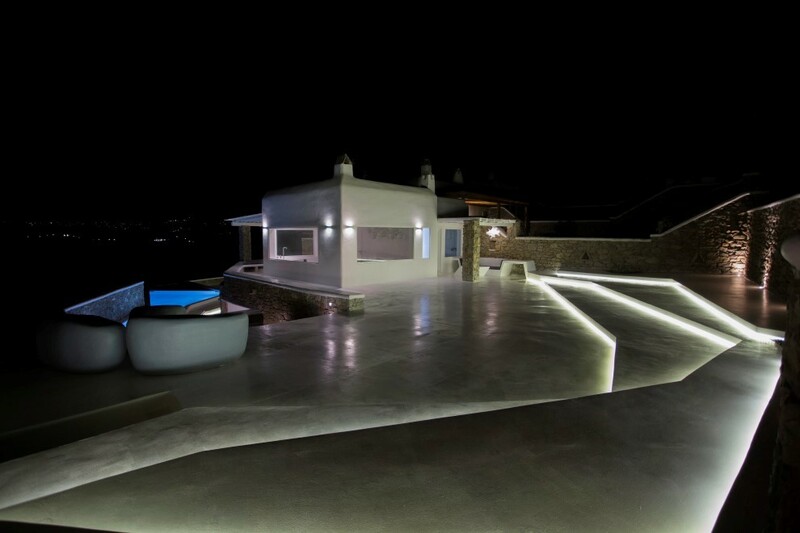 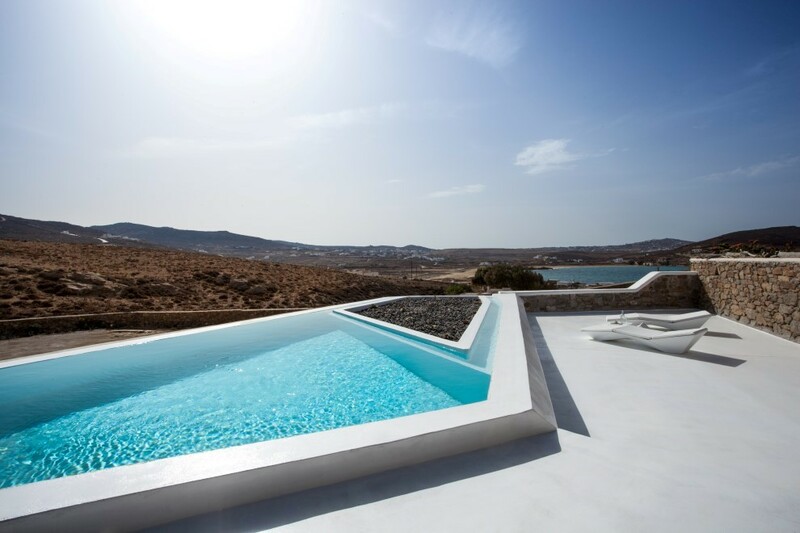 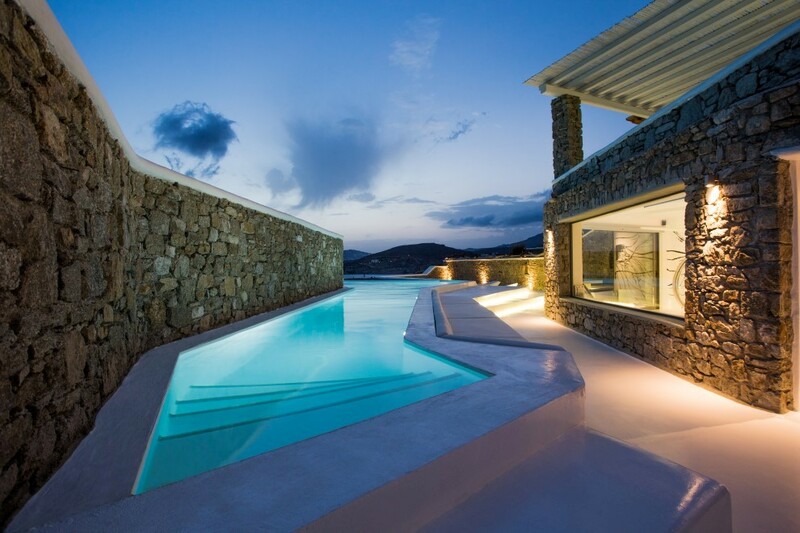 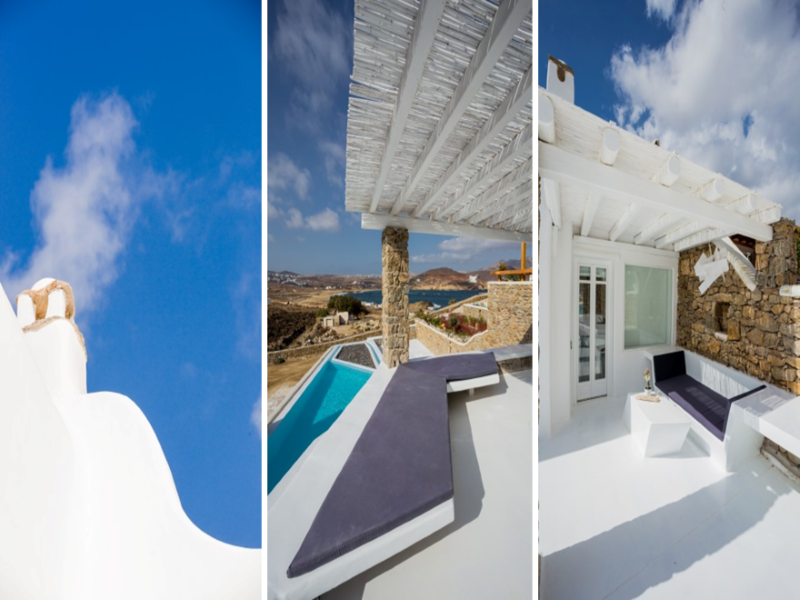 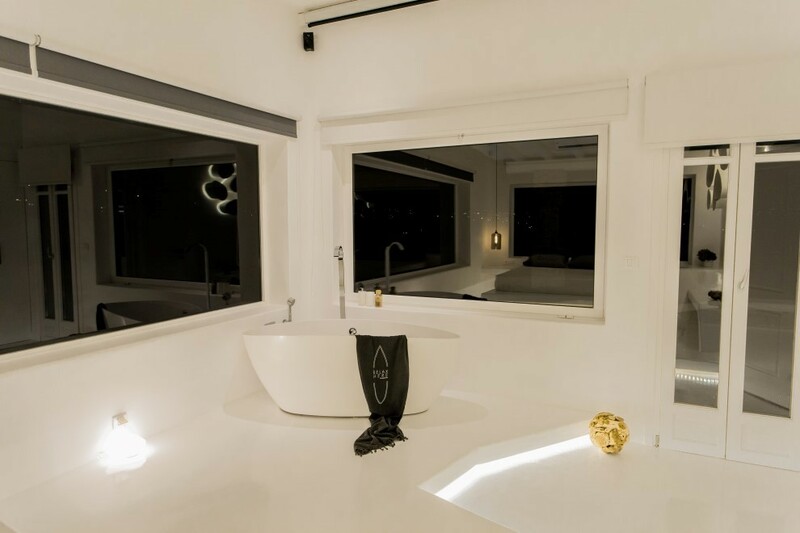 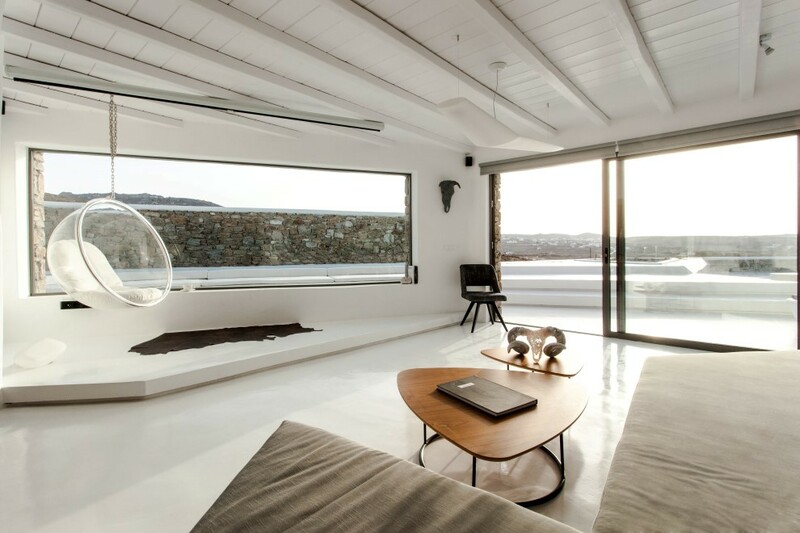 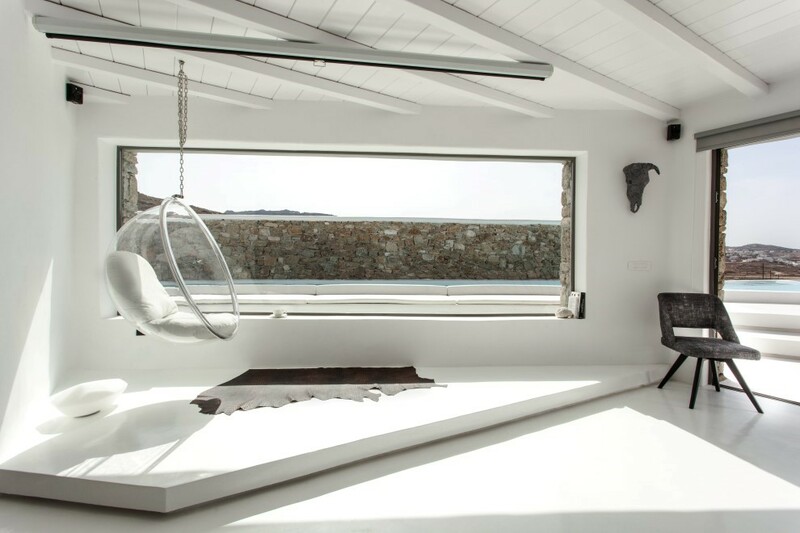 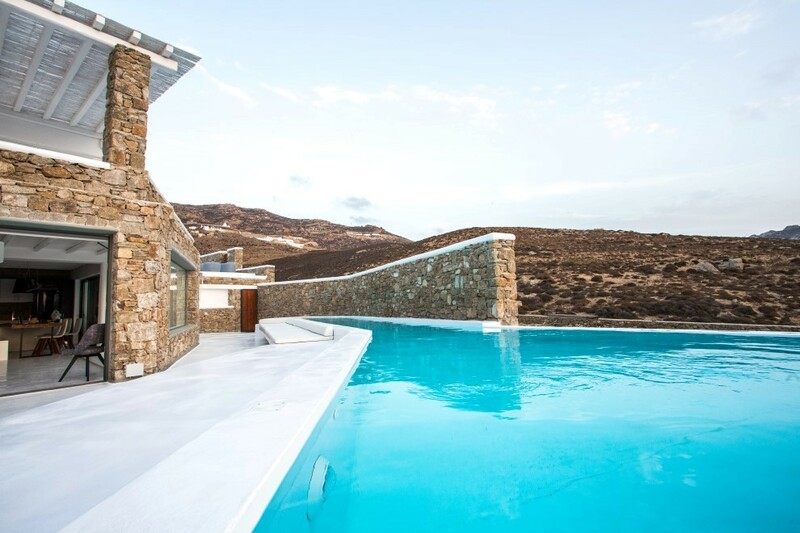 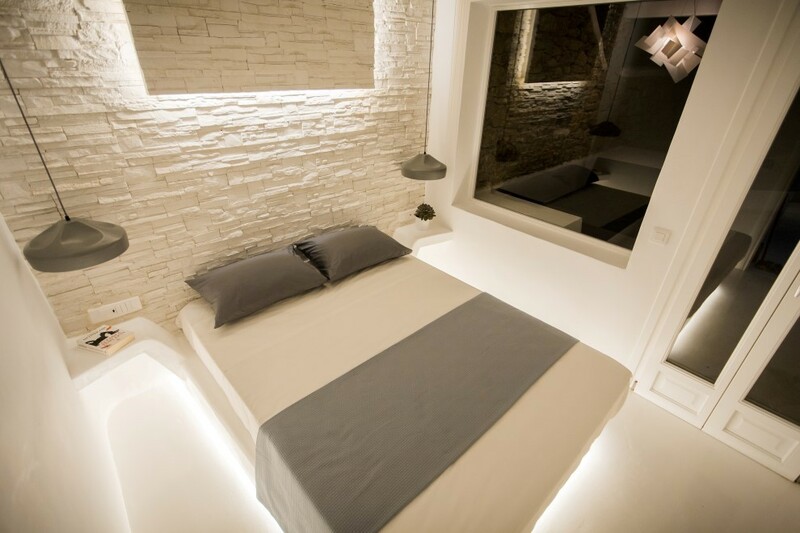 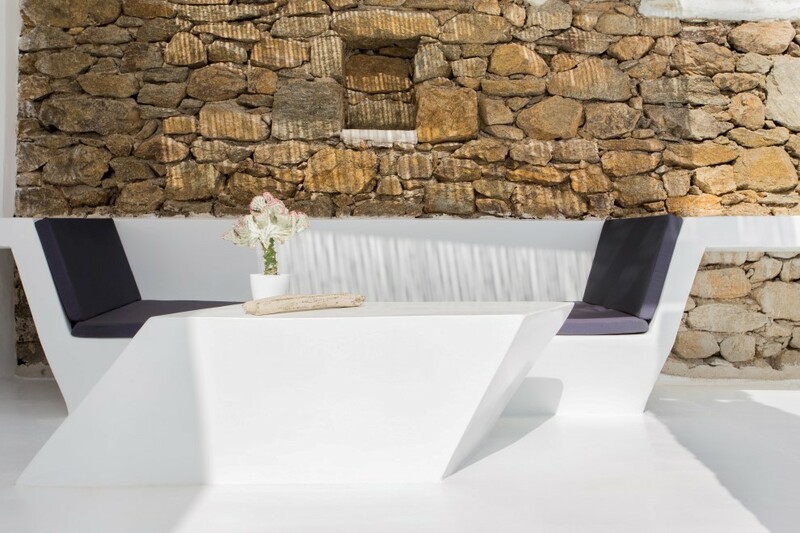 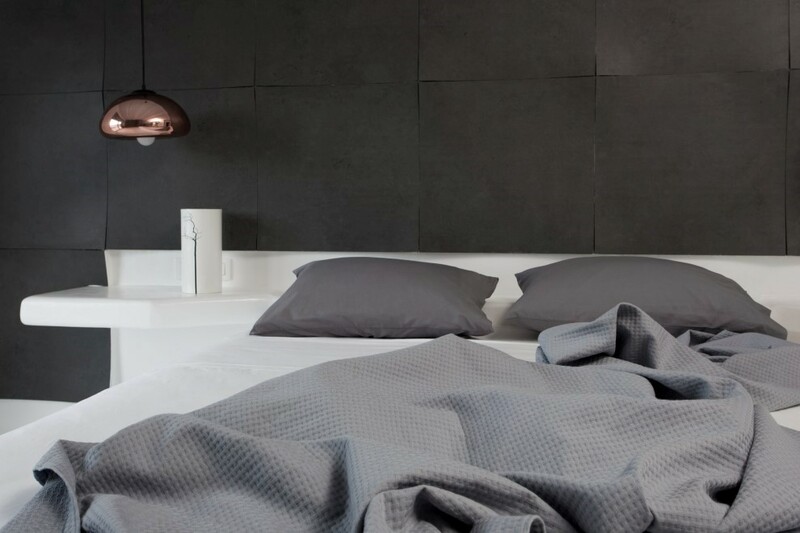 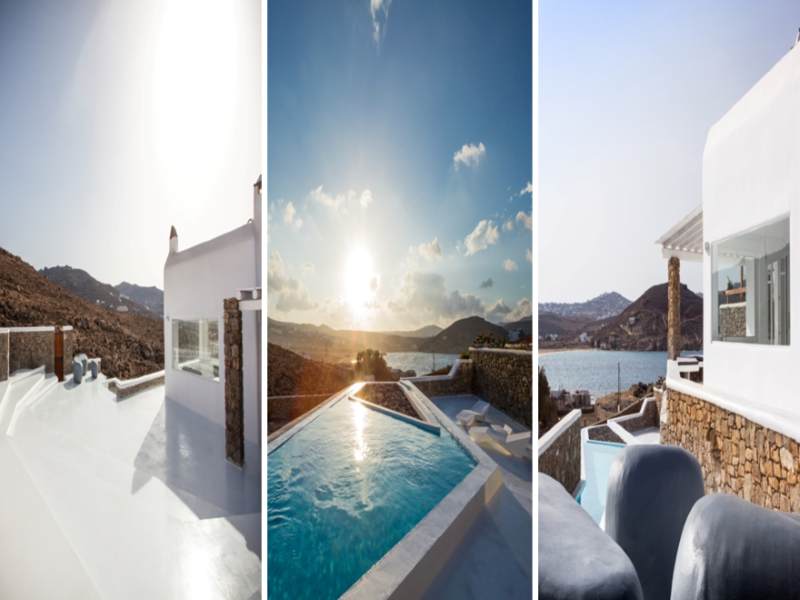 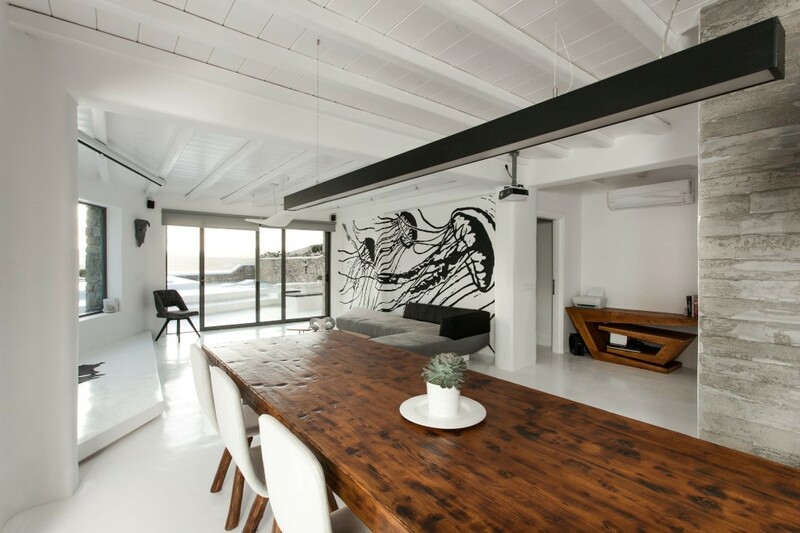 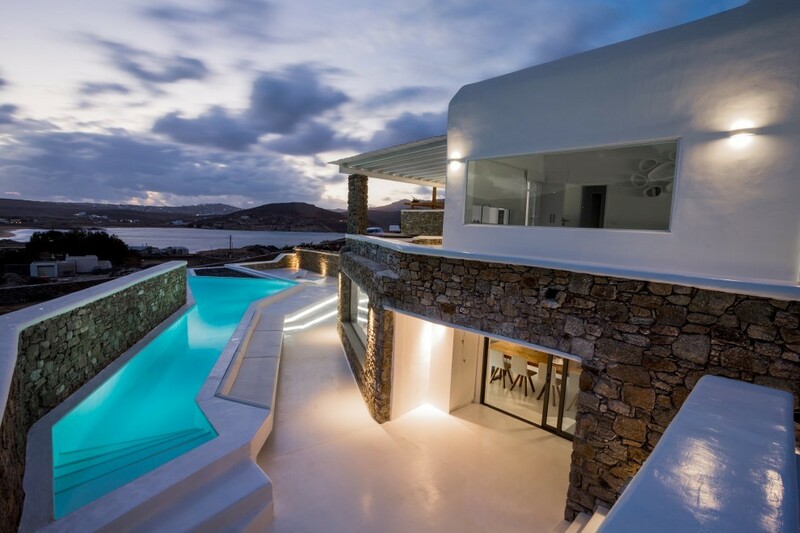 Mykonos Villa Dream Weaver offers unparallel comfort and luxury in the most unique minimalistic interior design. 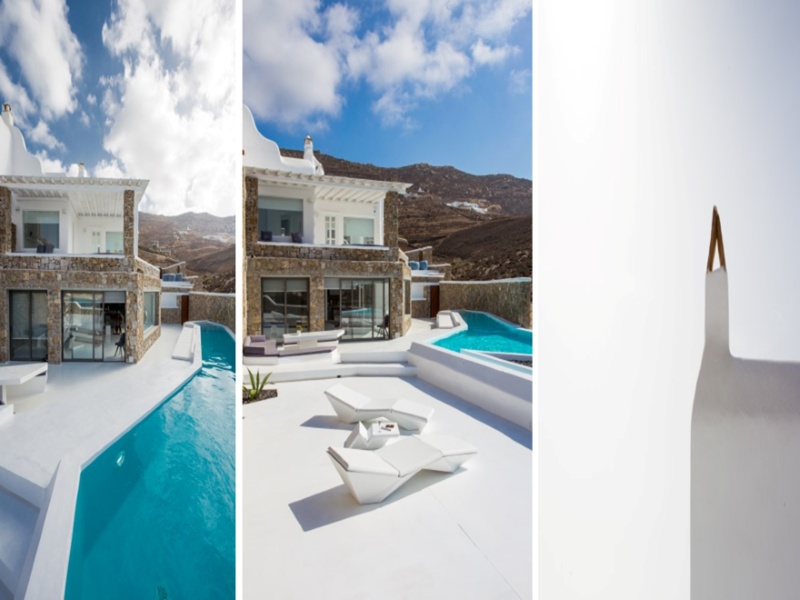 The privileged accommodation is build in a way that has fully sunbeam access during the day and provides the ultimate vacation experience with the extraordinary private pool, superb views and even an in-house gym. 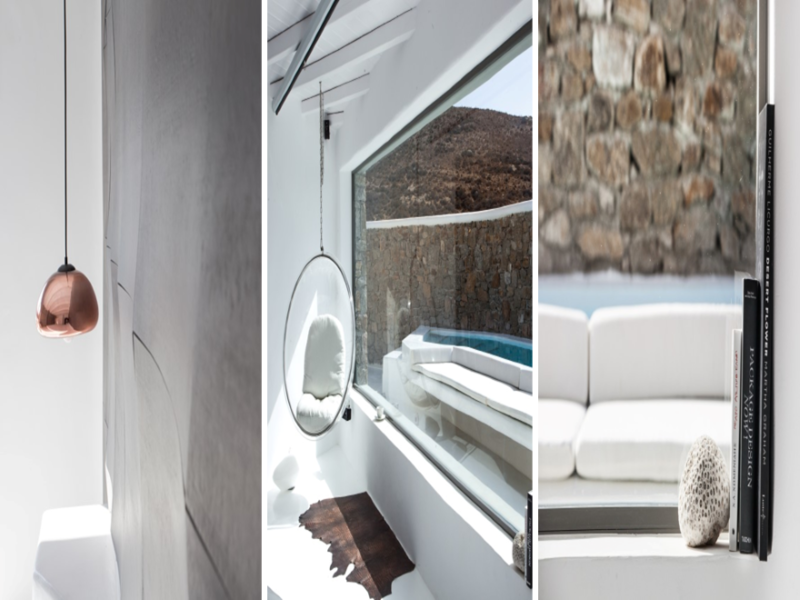 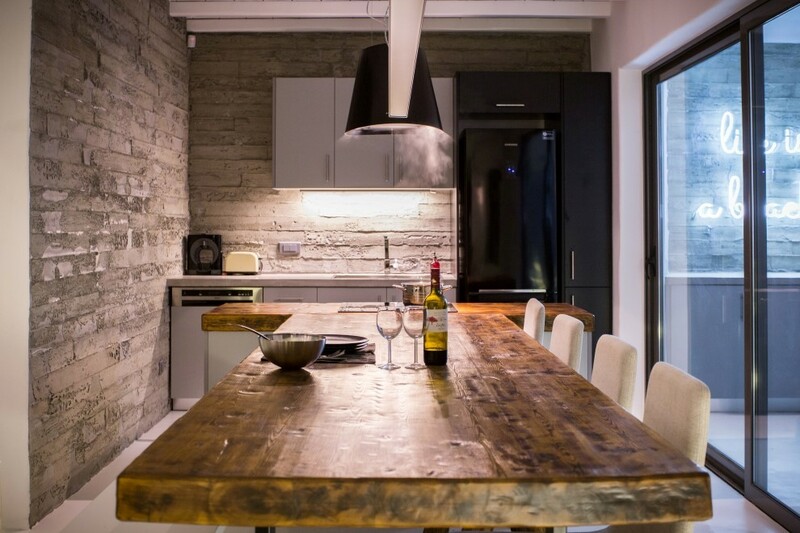 The exquisite interior features an outstanding living room area with apparent Cycladic influences and a fresh and fully equipped kitchen spaces. 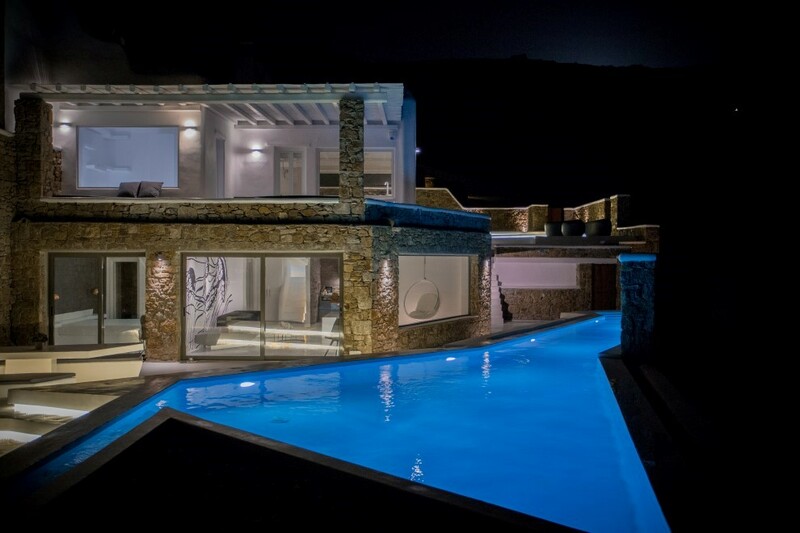 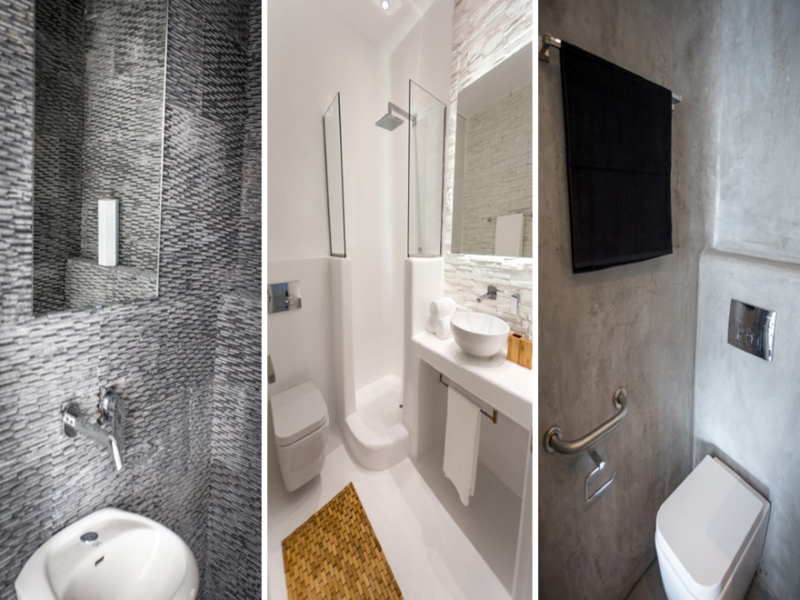 The villa has 4 bedrooms that offer exquisite sea or mountain view, which include wheel-chair bathroom access. 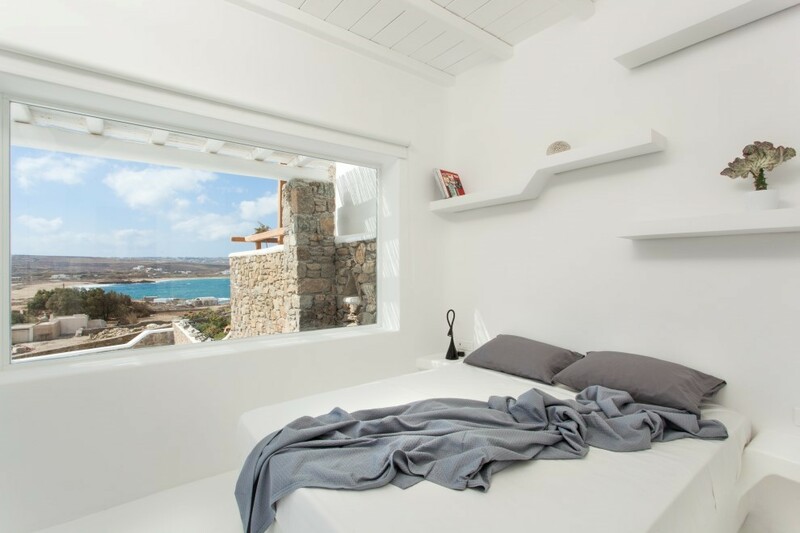 The luxurious bedrooms have direct access to the lovely terraces, where the panoramic view will accompany the daily activities of the guests. 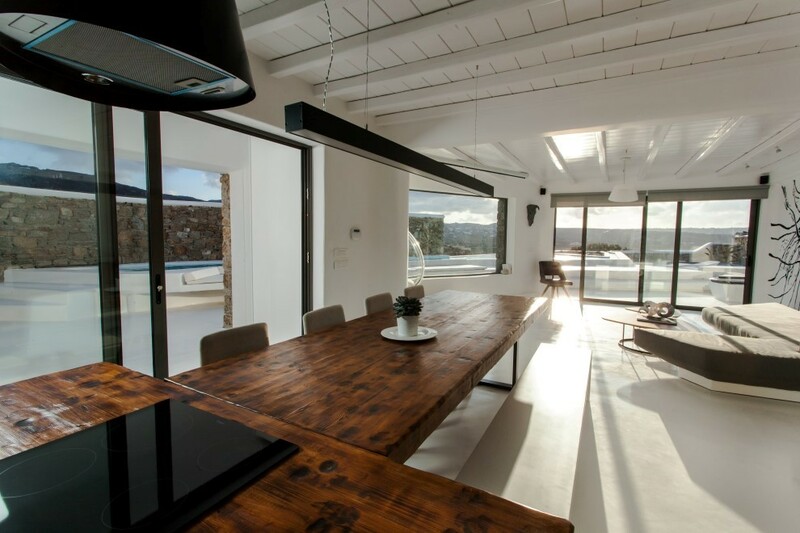 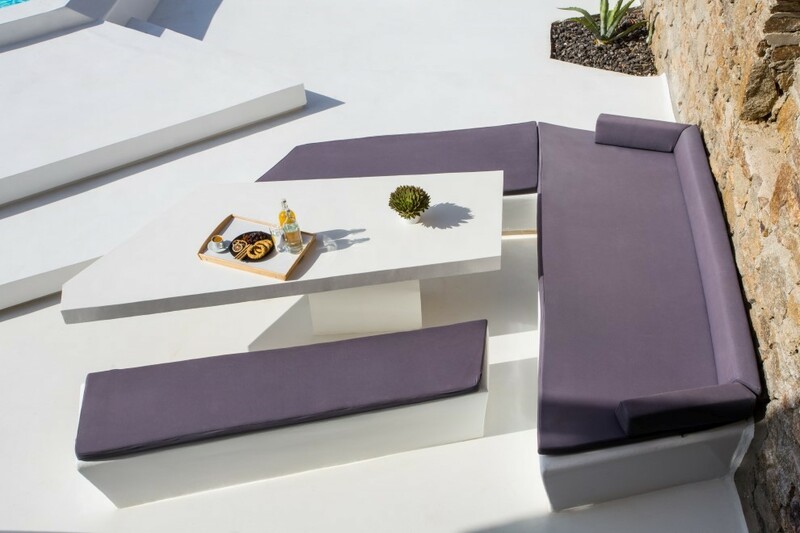 The exterior spaces are stylish and provide an impressive combination of the pergolas and lounge areas. 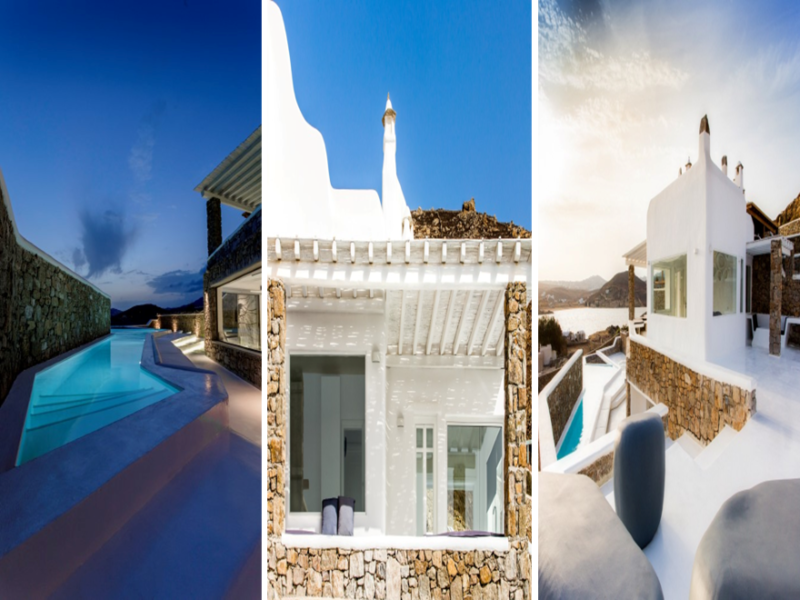 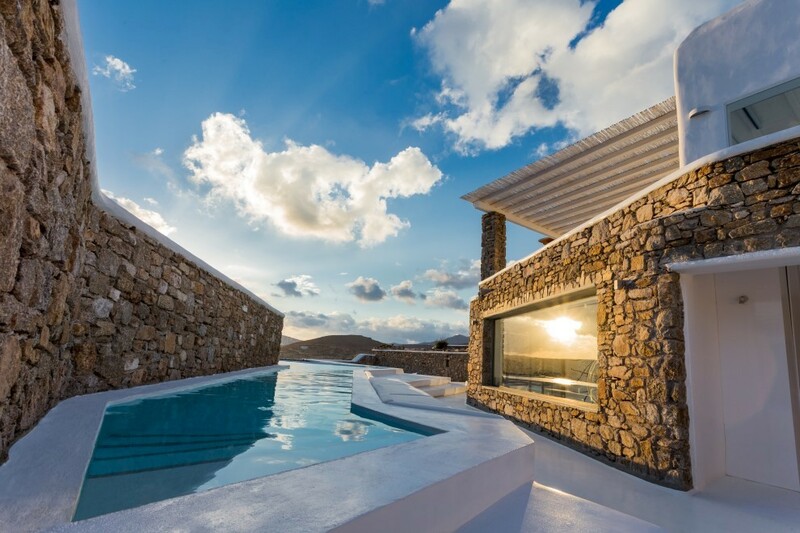 Villa Dream Weaver is the perfect luxury retreat for the lovers of minimal Mykonian lifestyle, with one of the greatest view experiences that will create the most memorable vacations.